Bridal skirts to match any design, these corsets are made to measure, giving you the ultimate figure ! Swarovski detailing to your reqirements. 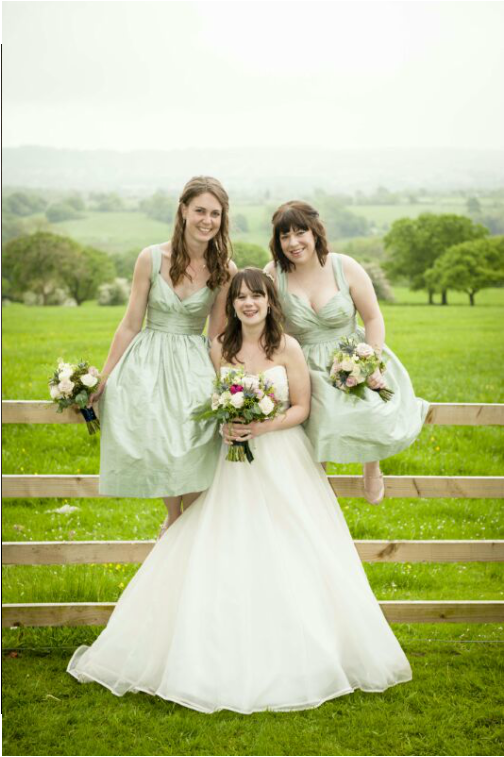 Soft Green Dupion Silk used on these Bridesmaids dresses. Gowns Made by Angela Brady-Batty S, I. A. D.
Pattern Cutting from my designs. Christening Gowns made to order. Shoes covered with hundreds of tiny Crystals and Pearls. Christening Shoes or Bling Pram Wear. For the Bride and any member of the bridal party. Mother of the bride outfits. Alterations to already purchased gowns. Bridal shugs, Dolly bags, Ring cushions etc. Evening and Cruise wear gowns. Formal and day wear, all made to measure. Have your own Bridal shoes hand embelished with Swarovski Crystals. Crystal Pram Shoes, Pure Baby Bling! Picture above 1200 hand applied rhinestones , colour Aurora Beralis. Christening or Pure Pram BLING!!! Aqua, Blue, Lime, Purple, Hot Pink. Fully covered or partial coverage.